Put on by publisher and developer Capcom, the Mega Man 30th Anniversary livestream kicks off this afternoon at 2:00 p.m. ET / 11:00 a.m. PT. You can watch the stream along with us via the embedded video below. Capcom hasn't released a canonical Mega Man game since 2010's Mega Man 10, a retro-style 2D platformer in the vein of the Blue Bomber's NES era. Understandably, fans are curious about what the publisher plans to announce during the event. "There are few characters in video games more well-known than Mega Man. From his first debut back on December 17th, 1987, the iconic ‘bot has been a part of the gaming landscape and Capcom’s mascot for just shy of 30 years," writes staffer Kellen on the Capcom Unity blog. "On December 4th -we were just too excited to wait until the 17th! - we’re celebrating Mega Man’s 30th anniversary with a livestream dedicated to our beloved Blue Bomber!" Interestingly, Nintendo of America's Twitter account retweeted one of Capcom's tweets regarding the livestream. That could indicate a new title exclusively on Switch, or perhaps a collection of Mega Man Legacy Collections 1 and 2 for the console/handheld hybrid. 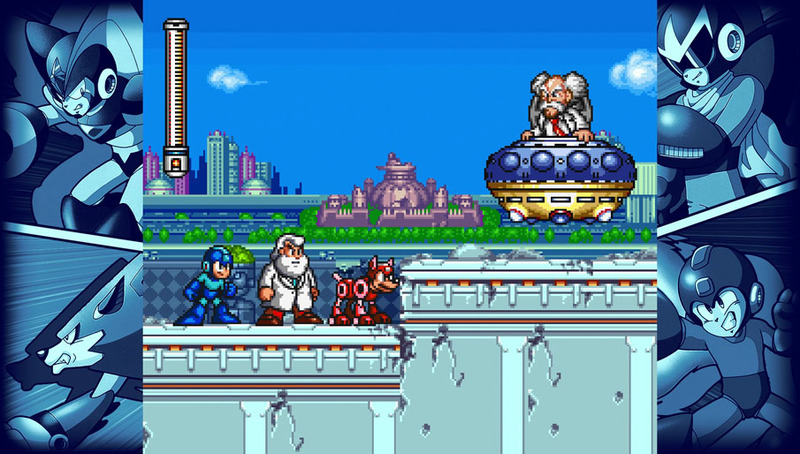 Stay tuned for Mega Man's 30th anniversary stream later this afternoon.